Fact 1 For the past two decades, chrysotile has been the only commercially mined form of asbestos being mass marketed. It has constituted over 95% of all asbestos marketed over the past century. The latest data show global use of chrysotile is around 2 million metric tons per year (USGS, 2013). Fact 2 Chrysotile is frequently found contaminated with amphibole forms of asbestos, most commonly tremolite (IARC, 2012). However, the UICC Canadian chrysotile, which has been shown capable of causing disease, has not been found to contain tremolite (Frank et al., 1998). Fact 3 Chrysotile has been shown to cause asbestosis, lung cancer, mesothelioma and cancers of the larynx and ovary (IPCS, 1998; WTO, 2001; IARC, 2012; WHO, 2014; Collegium Ramazzini, 2015). Fact 4 Latest data show the global burden of asbestos-related cancers estimated to be 194,000 deaths per year in 2013, up from 94,000 in 1990 (an increase of over 100%) with a disability-adjusted life-years (DALYs) burden of 3,402,000 – up 94% from 1990 and accounting for nearly two-thirds of the burden from all occupational carcinogens (GBD, 2015). Fact 5 Currently, at least 55 countries have banned the use of all forms of asbestos (IBAS, 2015). Fact 6 No threshold level of asbestos exposure has been established below which all individuals would be risk free of contracting asbestos-related diseases – 2 including those exposed to chrysotile (Royal Commission, 1984; IARC, 1977, 2012; IPCS, 1998; IPCS 2004-2012; Collegium Ramazzini, 2015). Fact 7 In 2001 the World Trade Organization reported: “The Panel found too that the efficacy of “controlled use” is particularly doubtful for the building industry and for DIY [do-it-yourself] enthusiasts, which are the most important users of cement-based products containing chrysotile asbestos.” The WTO stated “… we note that the carcinogenicity of chrysotile fibres has been acknowledged for some time by international bodies. This carcinogenicity was confirmed by the experts consulted by the Panel, with respect to both lung cancers and mesotheliomas, even though the experts acknowledged that chrysotile is less likely to cause mesotheliomas than amphiboles. We also note that the experts confirmed that the types of cancer concerned had a mortality rate of close to 100 percent. We therefore consider that we have sufficient evidence that there is in fact a serious carcinogenic risk associated with the inhalation of chrysotile fibres” (WTO, 2001). Fact 8 Safer substitutes do exist for replacing chrysotile, thus eliminating the need for use of any type of asbestos in commerce (IPCS, 1998; Harrison et al., 1999; CSTEE, 2002; WBG, 2009; WHO, 2011; Collegium Ramazzini, 2015). Fact 10 In October 2013, the International Commission of Occupational Health (ICOH) stated “There is sufficient evidence in humans for the carcinogenicity of all forms of asbestos (chrysotile, crocidolite, amosite, tremolite, actinolite and anthophylite)” (ICOH, 2013). Fact 12 In 2014, a multi-disciplinary gathering of scientists meeting in Helsinki, Finland agreed that all types of asbestos cause cancer in man and “In order to prevent the epidemic of asbestos-related diseases from being repeated among workers and communities in the developing world, ceasing the use of new asbestos is essential” (Helsinki Declaration, 2014). 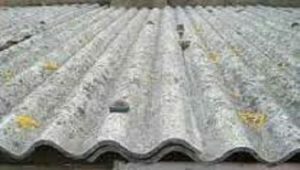 Fact 15 The recent study by Ferrante et al, 2015 “provides strong evidence of an association between pleural mesothelioma and the use of asbestos-cement roofing (OR=2.5, 95% CI 1.4 to 4.5) and pavement containing asbestos tailings (OR=3.6, 95% CI 1.4 to 9.2) (Ferrante et al., 2015; Stayner, 2015). Fact 16 Acknowledging the human health hazard posed by asbestos and the environmental contamination following the destruction of asbestos-containing products after man-made or natural disasters, the World Bank Group, humanitarian organizations and the United Nations High Commissioner for Refugees have recommended that asbestos-containing materials including asbestos-cement building products should not be used in disaster relief (WBG, 2009; GSC, 2010; UNHCR, 2005). Fact 19 The World Trade Organization “considers that the evidence before it tends to show that handling chrysotile-cement products constitutes a risk to health rather than the opposite. (emphasis added)” (WTO, 2001). Fact 20 The World Health Organizations warns “Continued use of asbestos cement in the construction industry is a particular concern, because the workforce is large, it is difficult to control exposure and in-place materials have the potential to deteriorate and pose a risk to those carrying out alterations, maintenance and demolition. In its various applications, asbestos can be replaced by some fibre materials and other products that pose less or no risk to health” (WHO, 2006). Throughout the last thirty years, scientific organizations and governmental agencies have thoroughly and meticulously reviewed extensive published data on asbestos and have concluded that all of its commercially viable fiber types (including amosite, anthophyllite, actinolite, chrysotile, crocidolite, and tremolite) cause disease and death resulting from asbestosis, lung cancer, mesothelioma and cancers of the larynx and ovary. There has not been identified any safe level of exposure to any form of asbestos; i.e. no threshold value below which all individuals would be risk-free of contracting an asbestos-related disease. Therefore, we support the immediate prohibition of the use of any form of asbestos-containing products, including those containing chrysotile, and call for their complete elimination.